Have you been hunting for a show to make you cry and feel as if you’re having your heart ripped out again and again? 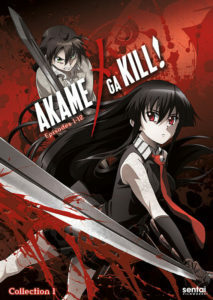 Then look no more: you found the show for you with Akame ga Kill! Tatsumi, heading to the capital to make money for his family, falls into more than he bargained for. He runs into a group of assassins who call themselves Night Raid. But whose side are they on? Want to see where it all began? Read the manga by Takahiro as well! Little Chihiro is moving to a new city with her parents. On the way the family takes a detour, and happens upon what appears to be a run-down, out-of-business amusement park. When they are lured further into the park by the smell of food, things soon take a creepy turn. Chihiro’s parents are put under a spell, and she must find a way to save them. Central to the story is the mysterious bathhouse that Chihiro discovers. There captivatingly odd spirits abound, and the workings of the bathhouse enchant the viewer. The film is filled with suspense, and yet much levity is found in the business nature of the bathhouse, which is run by the autocratic Yubaba—who is equal parts evil sorceress and obliging hostess to her spirit-guests. 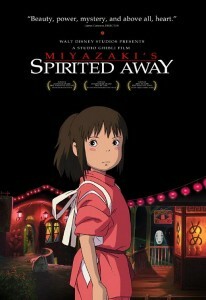 I first watched Spirited Away years ago when it won the Oscar for Best Animated Feature Picture (the first anime film to do so). I remember being totally captivated by the visual artistry—both the fantastical elements and the more earthly landscapes. Ultimately, though, this ghostly adventure is a coming-of-age story, in which a little girl gains courage and the power to sacrifice for love. 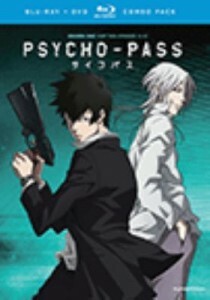 In Season 1 of Psycho-Pass, the year is 2113. Akane Tsunemori has just become a Police Inspector. It is her job to identify and subdue criminals. Her job is made more complicated by the Sibyl System. It evaluates whether or not someone is a latent criminal by scanning you passively as you go about your everyday life. The darker your hue (the higher your number), the closer you are to being arrested. Just having a string of a few extremely stressful days could be all that it takes to cloud your Psycho Pass and peg you as a latent criminal. Your life is now over. Keep your hue clear, everyone. Are you looking for a rom-com anime about characters who aren’t in high school? In the anime world, this is hard to find! Princess Jellyfish is the answer to your prayers. It has love, drama, but also plenty of comedy to keep everything light. The story follows Tsukimi, who lives in a women-only apartment called Amamizukan; all the residents are otakus, people who have obsessions with one particular thing. Tsukimi, our protagonist, is obsessed with all things jellyfish. Her world is turned upside down when she meets a woman, one night, while gazing longingly at the jellyfish in a pet store.